Advisory Committee on Immunization Practices of the CDC began issuing recommendions on the the HPV vaccine in 2005. 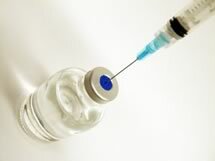 A new clinical trial at Emory University will assess whether the human papillomavirus (HPV) quadrivalent vaccine gives recipients long-term immunity to the virus. The trial is named IMAP (Immune Memory After Papillomavirus vaccination). Genital human papillomavirus (HPV) is the most common sexually transmitted infection in the United States, with an estimated 6.2 million persons newly infected every year, according to the Centers for Disease Control and Prevention (CDC). Although most infections cause no symptoms and are self-limited, persistent genital HPV infection can cause cervical cancer in women and other types of anogenital cancers and genital warts in both men and women. In 2005 the Advisory Committee on Immunization Practices of the CDC recommended the HPV vaccine for 11 and 12 year-old girls and for girls and women ages 13 through 26 years of age who have not yet been vaccinated or completed the vaccine series – three shots given within six months. In Oct. 2011, the ACIP recommended HPV vaccination for boys ages 11 and 12 and for males ages 11 to 21 who have not already received all three shots. The clinical trial at Emory will assess immunity in three groups of women: 78 women who received the vaccine three or more years ago, and received all three shots within a year; 78 women who received the vaccine three or more years ago but only received two shots within a year; and 45 women (ages 18-26) who did not receive the vaccine but who will be vaccinated now as part of the clinical trial, receiving three shots within six months. The first two groups of participants in the trial will make only one visit to Emory for a blood sample. The third group will be followed with several visits over a two-year period. The National Institute of Allergy and Infectious Diseases (NIAID) and the Vaccine and Treatment Evaluation Unit (VTEU) of the National Institutes of Health (NIH) are sponsoring the trial, which is led by the Emory Vaccine Center, the Department of Gynecology and Obstetrics in Emory University School of Medicine, and the Atlanta Clinical and Translational Science Institute (ACTSI). Kevin Ault, MD, Emory professor of obstetrics and gynecology, is the trial's principal investigator. "Because 11 and 12 year-olds are the primary vaccination group, it's important that immunity from the HPV vaccine last for several decades," says Ault. "Based on previous work done at Emory, we have the toolkit to study that." The researchers will model research conducted at the Emory Vaccine Center with the yellow fever and H1N1 influenza vaccines. Using assessment tools they developed in the laboratory, the researchers discovered these vaccines generate a type of immune response that is measurable within weeks of vaccination and that may last for decades. For more information about the clinical trial, contact coordinator Kara Barrett at 404-712-9367.